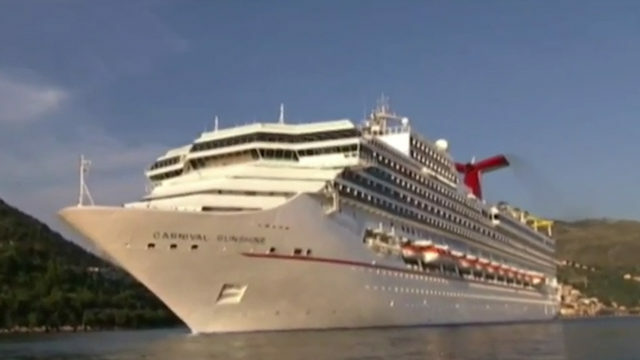 A Statesville, North Carolina, family was on board the cruise ship when it departed. Video from other passengers shows dishes scattered across the floor as the ship began to list. Tony and Kyla Williams, who live in the Atlanta area, were also on board when the ship tilted. Carnival said the listing lasted for about one minute before it was corrected and the ship continued its journey. [Tony] had to hold me at arm's length so I wouldn’t fall,” Kyla Williams said.